Benalla, the 'Rose City', is located in North East Victoria, Australia and is home to The Benalla Family Research Group Inc. It is situated on the main road and rail links between Melbourne and Sydney. 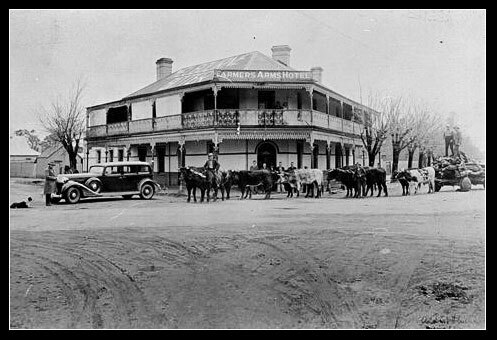 In the early days of settlement in Australia many people passed through Benalla when travelling from the Bendigo to Beechworth Goldfields. The Group was formed in 1981 to encourage and advance the study of family history in the area. The group met at Mrs Latch's home until late 1982 when the move was made to St Andrews Primary Church Hall. It holds regular meetings and research days and publishes a quarterly newsletter 'Roses and Thorns' for members. To download editions of our newsletter please click here. The Benalla Family Research Group Inc. welcome visitors, researchers and new members to our Group. OPENING HOURS: Our Research Room at 9 Church Street, Benalla is open every Tuesday and Wednesday (including Public Holidays) from 10.00 am - 4.00 pm. We are no longer open on the first Saturday of the Month except by appointment with at least three days notice. We are open during other times by appointment if necessary. Please contact us via the contact form.